When the Army of the Potomac and the Army of Northern Virginia left the Gettysburg environs on July 4, they left behind almost 21,000 wounded soldiers. These men were distributed over the countryside in roughly 160 locations. Casualties of this magnitude overtaxed the available resources immediately. 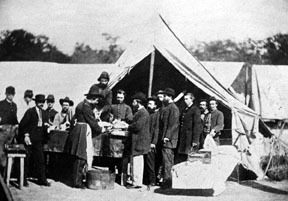 Camp Letterman—the first of its kind, a large General Tent Hospital—was constructed. It occupied 80 acres on the site of the George Wolf Farm, on a hillside just one mile out of town on the York Pike, and existed for a period of 121 days. Using period accounts, original photographs, and current maps Licensed Battlefield Guide Phil Lechak brought this often overlooked and underappreciated site to life. Although today this location contains only two historic markers, a hotel, and a shopping center, complete with gas station and fast food restaurant, we took an imaginary walking tour around the grounds and experienced where soldiers healed from the ravages of war. Phil Lechak became a Licensed Battlefield Guide at the Gettysburg National Military Park in November of 2005. 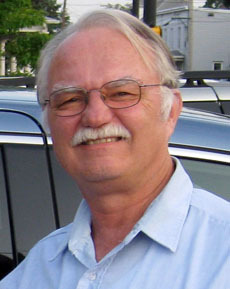 At his retirement from the U. S. Postal Service in January of 2007, following an almost 37 year career, Phil and Donna, his wife of 33 years, moved to Gettysburg. Now a Full Time LBG, Phil has led multiple tours across these historic Hospital grounds for many groups and was a presenter at the 2010 13th GNMP Biennial Seminar—The Aftermath and the End of the Campaign. This entry was posted in Meeting archive on October 13, 2011 by hlj.